Austin Engineering provides professional Civil engineering consulting and professional land surveying services across Illinois. Our company was established in 1937 and incorporated in 1947 and has played an integral role in the development of the Greater Peoria area for almost eight decades. We are also licensed in Indiana, Iowa, Wisconsin & Florida. Our clientele includes a diverse group of public and private clients, as well as architects and fellow engineers. We perform projects on a variety of budgets including lump sum contracts, cost-plus, not to exceed, and on an hourly basis. 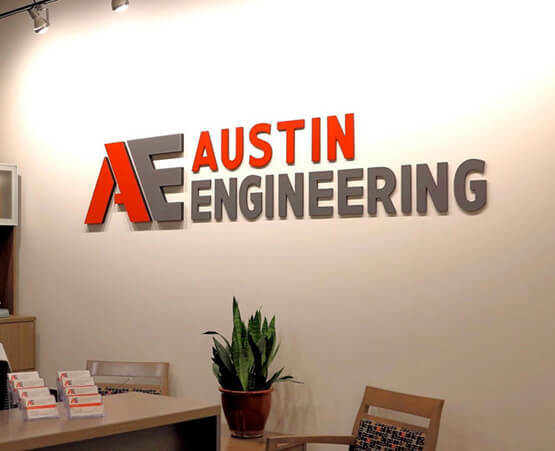 The Austin Engineering team prides itself on its ability to work together with our clients to produce cost effective designs that meet our client’s needs and desires. AECI has extensive experience in land design including subdivision development, senior living facilities, apartment complexes, condominiums, and commercial property site development. We also specialize in stormwater control and management including detention/retention facility design and flood studies as well as hydraulic and hydrologic analysis. Our general experience includes numerous public improvement projects for water mains, water treatment facilities, sanitary sewer mains, sewage treatment plants, storm sewers, stormwater drainage, and transportation projects, all of which include both new projects and rehabilitation projects as well. We are also a full-service Land surveying company with two full-time survey crews on staff. Our surveys include property boundary surveys, ALTA surveys, outside construction staking services, flood elevation certificates, and right of way and easement surveys. In addition, our survey staff provides invaluable support to our engineering staff by performing topographic surveys and all other survey work necessary to perform our design projects. At Austin Engineering, our mission is to build strong relationships with all of our clients. We are determined to understand our client’s needs, big or small. We are committed to helping clients reach their goal by keeping an open line of communication and adding a personal touch to every service we provide. Referrals from existing clients to new clients are our highest compliment, and we work hard to earn them each and every day. We promise to make your experience with our company the best that it can be. We are the engineering and land surveying team you can count on again and again. Since 1937, Austin Engineering Company Inc. has offered quality, economical civil engineering design and land surveying services in the Greater Peoria, IL region and beyond. Our team of Engineering professionals are experienced and courteous. They will assist in every way possible to ensure your project or survey is handled efficiently, accurately, and with the highest level of professional integrity. We hope you will find the information on this website useful; it contains historical company background information, details of past and present projects, as well as resumes of our team members. For additional resources or questions, please Contact us to set up a meeting and individual consultation for your upcoming project. Thank you for considering Austin Engineering Company for your civil engineering and land surveying needs.